Cadence® Allegro® Design Authoring is an enterprise-enabled design creation solution that allows schematic designers to create complex designs quickly and efficiently. It provides advanced productivity features such as reuse of previous schematic designs as blocks or sheets—partially or completely. Oriented around team-based development, Allegro Design Authoring allows schematic designers and layout engineers to work in parallel. Users can capture physical and electrical constraints and assign design rules with the embedded Allegro Constraint Manager. 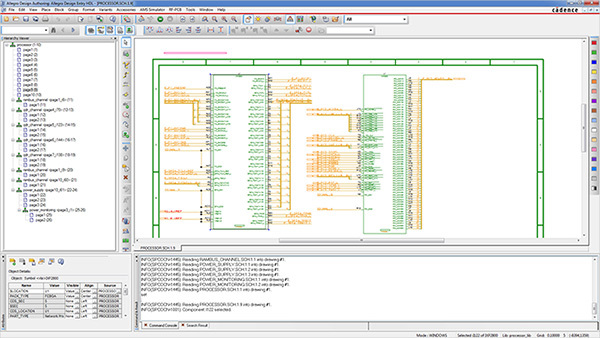 Allegro Design Authoring allows schematic designers and layout engineers to work in parallel. 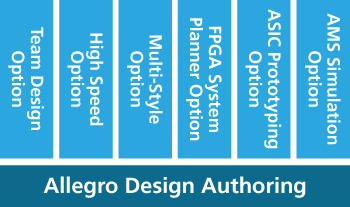 Integrated with Allegro AMS Simulator for analog and digital simulation and SI analysis, Allegro Design Authoring also offers multiple options for FPGA integration. Users can capture physical and electrical constraints and assign design rules with the embedded Allegro Constraint Manager.